A young adult memoir of surviving sexual abuse in the Air Force Academy, this is a story that needs to be told and refuses to go away. 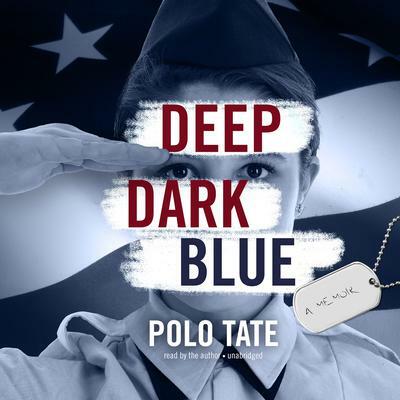 “I want to be in the Air Force someday.” These are the words Polo Tate engraves on her junior dog tags at age eleven, an unpopular dream for most young girls, but her hard work pays off, and at eighteen, Polo finds herself in basic training at the United States Air Force Academy. She does everything right, except fly under the radar. No one prepares her for what comes next: physical, sexual, and emotional abuse at the hands of her superiors; harassment from her peers, who refuse to believe her story. Deep Dark Blue is more than a memoir about sexual assault. It’s about breaking boundaries but also setting them. It’s about learning to trust your instincts. It’s a story of survival, resilience, and finally, finding your joy. Polo Tate is an actor and performer at places such as the Upright Citizens Brigade Theatre, Broadway Comedy Club, Reckless, and the Peoples Improv Theater. Deep Dark Blue is her debut memoir. She lives in New York City.